Chris Dube was born and raised in North Bay, Ontario and counts Bob Dylan, John Prine and Neil Young among his greatest musical influences. In his spare time, Chris takes great pleasure travelling to different schools to entertain children. 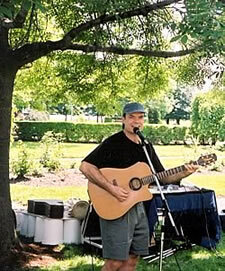 Click here to listen to a sample of Chris’ music.